This idea came from Kimberly at Funky First Grade Fun. I learned about it when I watched her Virtual Teaching Expo Everything's Primary session on helping struggling readers. If you have not heard about the session you can click here to learn more about it. Kimberly's session alone was worth what I paid for the expo!! She shared so many great tips for working with my struggling readers. 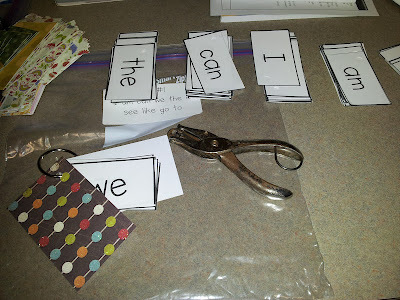 One idea she shared was sight word rings. Kimberly only sends 5 words on her rings at a time. 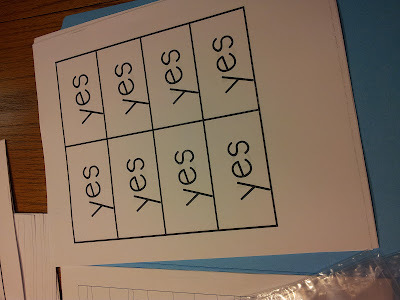 This gives students less words to focus on at a time so her struggling readers are not overwhelmed and 5 is a much easier number to manage when reviewing the words with students in the classroom and asking parents to work on them at home for homework. Each time the student reads the word fluently to you or another adult he or she receives a tally mark on the back of the word card. Once the child has 10 tally marks on the back of the card it can be moved to a "known" word ring and a new word can be added in its place. You will want to designate a specific time or times each day to review the word rings with your students. Eventually you will only be doing word rings with those students who need them. Parent volunteers and older students are great resources for helping yo manage this part of the word rings. 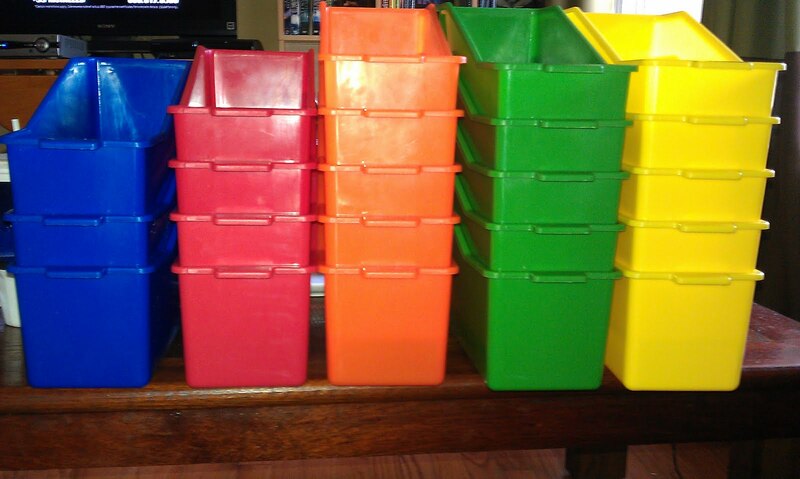 Here is how I organized my word rings so everything will be right at my fingertips and easy to manage once school gets started and everything gets super hectic. First I typed up all of my word wall words. I put one word on each page so they would be easy to cut apart and bag together. I cut the words quickly and easily using my paper cutter. Then I bagged them in snack bags. I created labels for gallon size zip-loc bags that had 7-9 word wall words on them. I listed them in the order my district wants me to teach them. 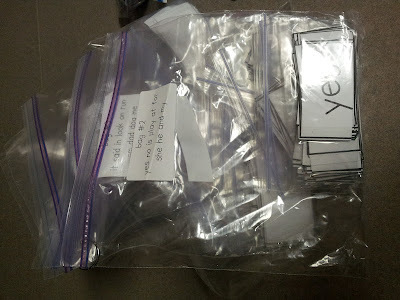 I labeled each bag by number, ordered them, and put them together using a metal ring. 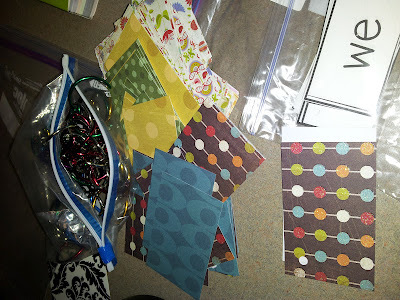 Just for fun Kimberly suggests using sheets of decorative scrapbook paper for the front and back cover. Allowing the students to choose their own paper gives them some choice and serves as a motivating factor as well. Everyone starts out with the same five words but some kids will move through the words faster than others. I am getting my rings ready now by hole-punching all the words and ringing the first five words together. You can see a finished ring in this picture. All it needs now is an Avery label with a child's name on it. A friend of mine and I were talking this week about what to do with the words we take off the student's rings. We wanted to make sure our students were able to continue to practice the words but we were not sure we wanted to manage another set of rings. 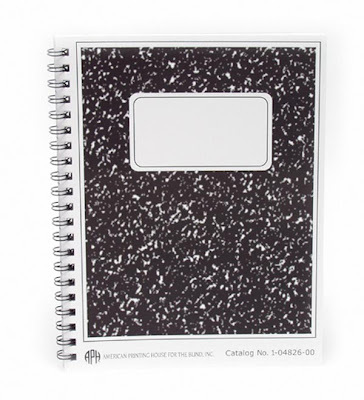 We decided to have our students add the words to a journal (spiral notebook) and keep them in their book boxes so that during Daily Five Read to Self or Read to Someone they could read words as well as other forms of texts. I love all of the ideas and I love the organization of this!!! Could you post on TPT (for sale) the word cards with some blank cards as well for words that might not be on the list). Thanks for such great info! I'm so excited that you are going back to the classroom! It will be great to see all of your ideas! How are word rings going so far? Do you send them home for practice? If so, when do the kiddos bring them back and do they always come back? I love the idea, but not sure how to manage the back and forth. The word rings are going well. I send them home every night. I purchased some inexpensive zipper pencil pockets from The Dollar Tree to store them in. I placed the pencil pocket in the brads of their take home folders. The kids know to tell me if they need knew words. I also check one table a day to see if they have ten tallies on the back of their words. This also shows me if they are not making progress on words. When this happens I just send a quick reminder note to parents to practice. 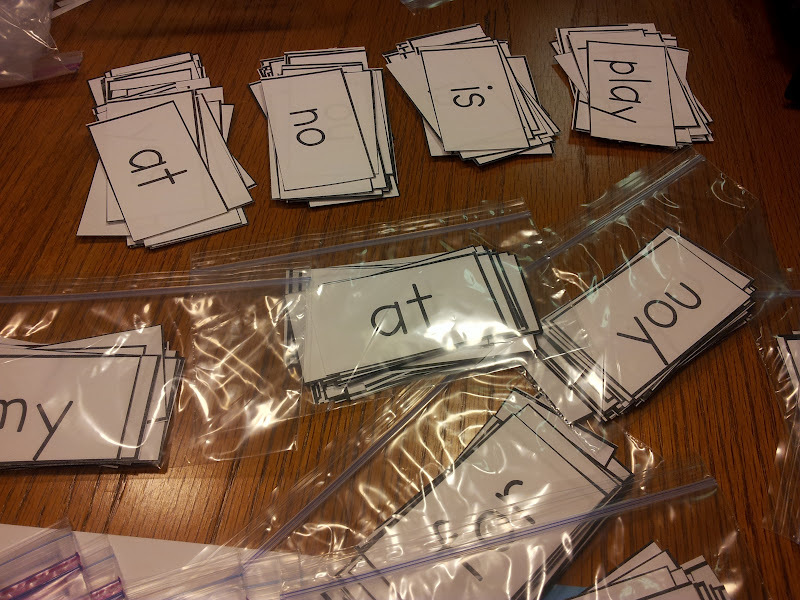 A teammate suggested making a set of word cards for each student and storing them in their own bag. She said it would be easier to know the next words to pull than having to go and find the bag they are on. I hope this makes sense. Let me know if you have more questions. What type of paper do you print your word ring cards on? Do you laminate them? 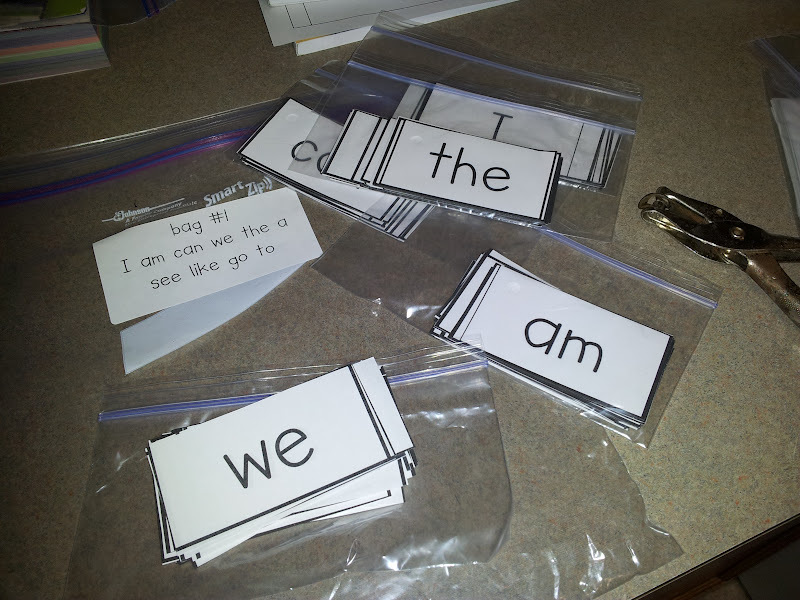 I just print them on regular paper and I do not laminate them because the kids move through the words pretty quickly.